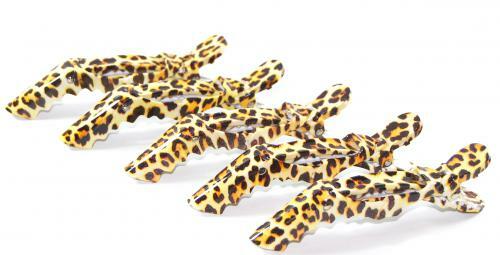 Animal Print Crocodile Clips. A wide range of hairdressing & salon supplies available in Perth at Curly Sues. All-purpose expanding clip for hair. Holds more hair. 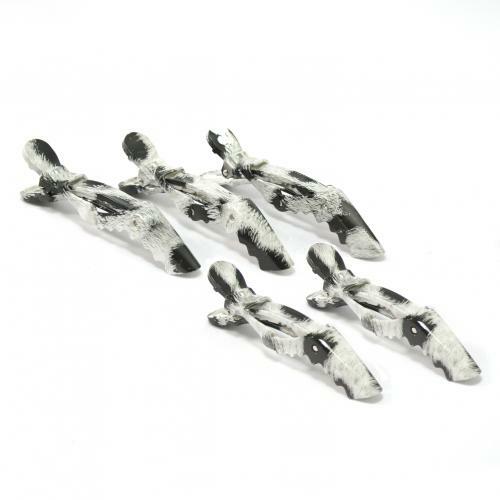 The self-adjusting tension design and scalloped teeth on the inside guarantee a secure grip no matter where placed. Ideal for long or thick hair types. 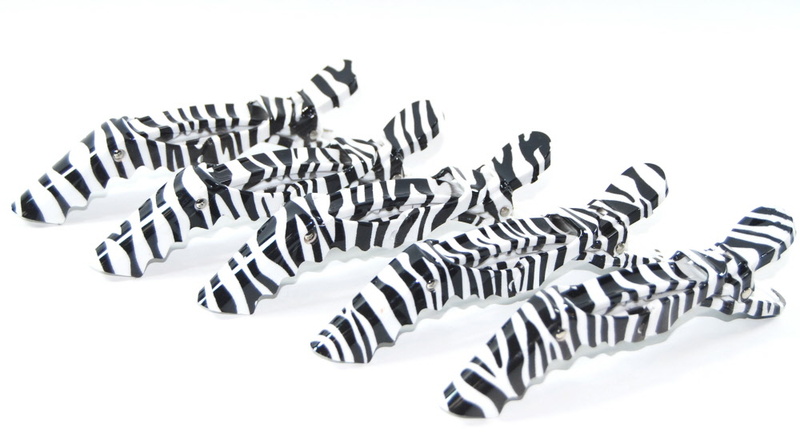 Available in different animal patterns.